Every parent, at some point, wishes their child had come with an instruction manual. Regardless of how good we are as parents, there will always come a time when we feel helpless or inadequate in meeting the various needs of our children. I have read countless books, blogs, and magazine articles in parenting. As well as they may have been written, I always feel as if there were something crucial I had missed, or felt berated and even more inadequate and frustrated. A couple of weeks ago, a blogger buddy of mine recommended me for a book review. To be completely honest, while I was more than open to the idea, I secretly thought, "Yeah. I've seen it all before." When the book arrived, I was dubious. This was not what I was expecting; a rather slim, soft bound book that gives no indication of it's greatness and power. But, I started reading it, and by page 17 I was hooked. Indeed, I was SO hooked at page 17, I had to stop reading and fire off a gushy, flattering email to the authors. Then I picked the book back up and read the whole thing. Twice. In the same day. 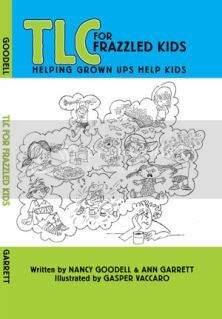 TLC for frazzled kids is the most awesome user's manual for kids I have ever had the pleasure of reading. 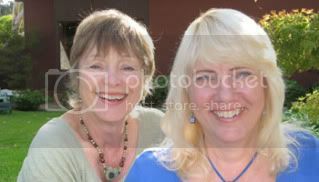 Written by Nancy Goodell and Ann Garret, two teachers with more than 30 years of teaching experience, including special education, these women really got it right! Inside the book, each chapter outlines simple, doable ways to transition from one activity to another, addresses the importance of tactile and sensory stimulation, and explains the power of the adult's presence, whether positive and beneficial or negative and ineffective. You will read the story of Nancy's journey as a teacher with a class full of children described as "mentally retarded", how as an educator she came to realise that her students needed a different approach to learning, and how she made that happen. As I stated to Ann and Nancy in the gushy email, I found myself nodding "yes" as I read, and at one point even shouted, "EXACTLY!" out loud. I kept reading, devouring the words and lessons, and thinking all the while that every parent, educator, pediatric medical professional, therapist, and child care worker should be given this book as required reading. Copies should accompany new parents out the hospital doors, in that complimentary diaper bag full of samples and coupons. Though the book is slim, it is chock full of strategies for both neurotypical and special needs kids, to help them learn to cope with stressors and triggers, as well as strategies for you as the adult to use to help you become more aware of silent signals and messages that a child's behaviors may be conveying. There was never a time while I was reading that I felt preached at or talked down to. That is so very important for parents. We are not stupid.. we're just... frazzled! Visit the frazzled kids website and read all about it, visit their blog page, and learn better ways to parent, teach, and interact with children. Really people, you should not still be here. You should be ordering this book as fast as your internet will allow it. TLC for kids is 100% approved by this frazzled momma. and that's approval I don't give lightly. I was provided with a copy of this book for review. All opinions are mine. I was not paid for this review. Remember when I blogged about how for the first time I politely declined a review invitation and gave them your name? This was the product! Sounds like something I wish they would have given me 13.5 years ago when I took Griffin home from the hospital. *oh so jealous* Sounds awesome! Great review, friend!